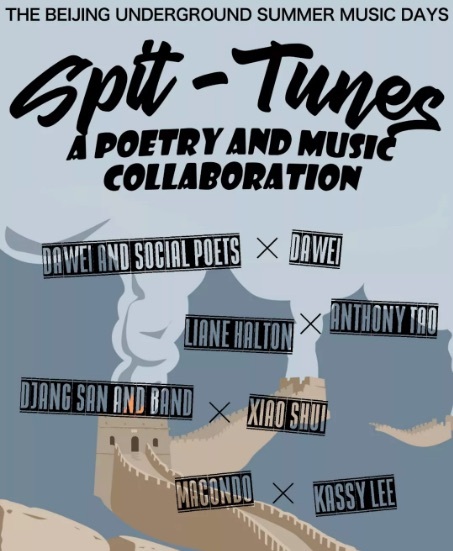 A really cool event is coming up on Wednesday, June 27, at which I’ll be participating: Spit-Tunes, which is a music-poetry collaboration run by the Beijing literary collective Spittoon. I have a 30-minute set planned with Liane Halton, a brilliant classical guitarist from South Africa (find some of her work here), and it just might be great. It will be great! You should come if you’re in the area. The show starts at 8:30 pm (Wednesday, June 27) at Dusk Dawn Club (DDC —黄昏黎明). And a one-minute excerpt from my poem “Christmas alla Romana” + Liane’s music. Told you she was brilliant. You’ll have to come Wednesday for the full 30-minute set.